Welcome back to another amazing Savvy Story Series. 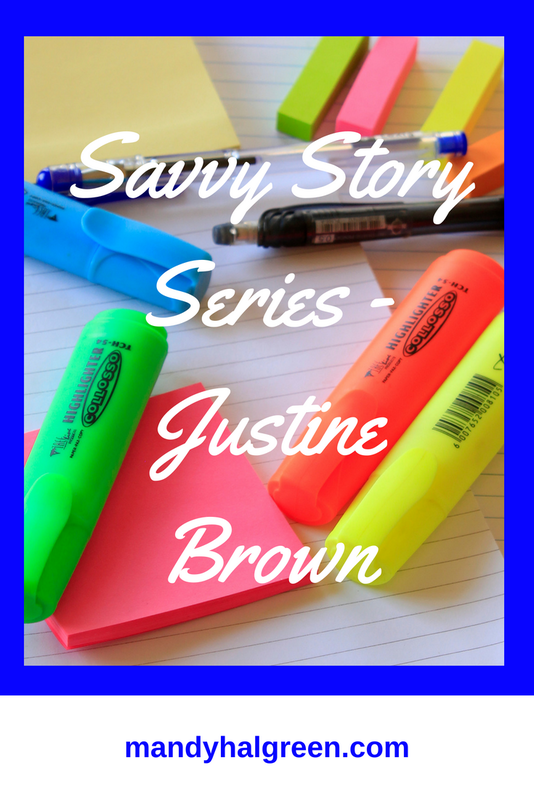 Today we have an amazing story to share with you from Justine Brown. If you would like to feature in my Savvy Story Series, please head over to the submissions page. If you are more of a video person head over to the video below and if you’re more of a reader, the transcript is below the video. Mandy – Hi, everyone it’s Mandy, I’m back with another savvy story series and today I have a special guest. Before I dive into who I’m interviewing today, I’m going to introduce myself. So you know who this crazy lady is. 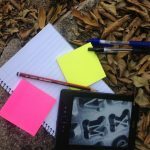 I’m Mandy, a book writing mentor and entrepreneur for people for who have short stories to share and they want to use it to impact and gain income. Which I think is such a great analogy. I’m going to hand over to my interviewee now. Justine – Hi Mandy, thank you so much for having me today. I appreciate it. My name is Justine and I run a program called reboot with real foods and what that is all about is working with people so they can meet their nutrition goals, whether it is to lose weight or meet their significant health goal to get more energy and I work on that by not going on diet or diet rollercoaster or anything like that but to make the shifts in their life through eating real foods – whole food or plant-based. Mandy- Its lovely to have you here. How often I see the word diet. Are you not a fan of the word diet? Justine – No! I think diets have a few things that work against them and primarily work on an idea that you have to use willpower and deprive yourself in some way. Whereas true success comes from having an abundance mentality instead of a scarcity mentality. An abundance mentality is all about the positive aspects you can do. Not a diet. Mandy – I can see that would relate because it’s so easy to say you have a scarcity mindset because a diet seems to restrict you to so many calories a day. Whereas an abundance mentality, there is more portion control. Am I right? Justine – When you have an abundance mentality and you’re focusing on foods that are on your abundance list. There is no Calorie count. It’s about nourishing your body and learning to understand and to know what your body is telling you and what its needs are. Mandy – What has led you down this road about diet and what your body needs? Justine – It was kind of a journey of where I have tried probably over 10years after I’ve had my children – just about every kind of diet. Most of them are high protein. The carbs are bad diet. The thing is that they do work, what I was discovering is that they would work and I would gain it all back with interest. When I was on a diet, it was what I can and can’t eat. I have a daughter and when she was on the cusp of becoming teenager and her body was starting to change and starting to become aware of body image. There was one day, I was on a diet and I sat down and was about to eat this beautiful sandwich I had made. I made it with some leftover chicken salad, fresh pecans and it was on this fresh bread I got from the bakery. It was soft on the inside and had a nice crust on the outside. I was sitting there so excited to eat the sandwich and my daughter was there and she yells, ‘mom, are you allowed to eat that?’ genuinely concerned for me and the thing was I wasn’t allowed to eat that sandwich. Although it was beautiful sandwich – there were about 14 things on my diet I was breaking and the Fact that she was so alarmed for me showed me what I was portraying for my daughter. It’s really a vulnerable point in your life where she is forming all of these ideas of how to eat. For me that was it. I’m not doing this anymore. Instead I’m going to make food choices that are healthy to give to my family too. So I did that and it was such a load lifted off and I changed the way I ate and thought about food. I took all the stress out of it and brought back the joy in the relationship of cooking. And the amazing thing was I lost between 10 – 20 pounds that I was not trying to lose. I lost the weight. Instead I was just eating these whole delicious foods. I don’t want to imply that I was eating free for all and eating whatever came in front of me. It was a conscious decision to eat whole healthy foods and that’s when I decided what I am doing and what is working so well and how can I make a program around this and how can others benefit. So that is the story with reboot with real foods. Mandy – That’s amazing. So would you say that moment with your daughter was the turning point for you? Mandy – That’s amazing. I’m sure your daughter has watched your journey for the last couple years as she’s growing up. We get bombarded with body issues and self-image of our bodies. Do you feel that what you’re doing and showing her is giving her a proper sense of her body and what she puts in it? Justine – Yes, the story I’m talking about happened 5years ago and as I’ve said now, she is 17 and it is an amazing thing how positive her relationship with food is. She also loves cooking. She often says this and not many people believe it, ‘mom, is it okay if I cook tonight?’ And I’m like ok. It’s not even a conscious decision for her and she does love those healthy cool foods and only that. It is also the way she carries herself with confidence. I see it in her skin and clear eyes. Her relationship with food is amazing and you can really see it. 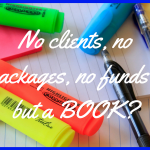 Mandy – How long have you actually been running your business for since you’ve had this idea? Justine – I’m not sure if you talk to a whole lot of entrepreneurs but if you do, a business, there is no day that seems like, I’m starting my business. It evolves more over time. I have been doing this as an in-person service for a number of years. But I started a year ago offering this on the internet. You can create these courses where you can have so much interaction with video and that’s what I’ve done for the last year. Mandy – Oh wow. Would you say you prefer the 1:1 or the online interaction? Mandy – Do you ever do anything in your own area? Justine – Yes I have done. And my area is actually a small town but it is such a great community and there are so many supportive people. I’ll do it at our local food court and cooking demonstrations and that kind of stuff. I also have 1:1 clients in person but the majority is online. Mandy – While you were in and getting this business online. Was there a moment of negative thoughts? Justine – Absolutely. That has happened to me so many times. I’m 48 which is a little older than other people starting online businesses and leveraging social media to talk to people and there are so many days when I think, ‘oh my goodness maybe they’ll know something I don’t know ‘. It’s hard to get visible in such a huge environment. There are so many people trying to talk to the same audiences and you sort of feel you need to find ways to get attention for yourself. So there are definitely challenges too. It’s at a point now where it is so lovely to see that visibility growing. Mandy – What was your best day/week? Justine – There was one week; this was probably 2 months after I had my big sandwich epiphany where after that I had not stepped on the scale. Eventually, I did and I realized at that point that I had lost 7 pounds. I don’t want to tell this story as though it’s just about numbers on a scale. That is the least of what you should be concerned about and again as an entrepreneur, I was starting to think I’m onto something brilliant right here. That was the initial feeling for success. Starting the body shift and wondering if I can make this as a business. Mandy – What was the best thing in the business area? Justine – I think it was the first time I was on a call with someone, a potential 1:1 client that I didn’t actually know from the grocery store or dropping off the kids. An online client is to talk to them and have them sign-up and you’re thinking to yourself that I can actually help them make a difference. So that was the best moment. Mandy – When you’re on a call with your client or clarity calls. What do you find is the most commonly expressed concern? 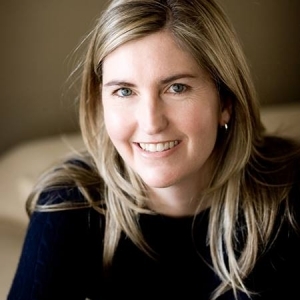 Justine – I would say from a strategy call point of view where people are looking for clarity. The majority come onto the call thinking what they’re calling for is about losing weight and I think what happens by wanting to lose weight is for them to want to have more confidence and change the way they eat. One of the lines thrown about is, “nutrition is the best medicine”. There are a ton of articles that can back it up. Medicine will only do so much but nutrition is genuinely the answer to healing and prevention. Mandy – Would you say they’re looking at the physical problem when they also have subconscious issues? Justine – I would say all of them. Our relationship with food I so intricate, it’s a lifetime relationship, it’s something we do 3 or 4 times a day and there is eating for substance and then there is emotional eating. So much of this eating is emotional eating and that’s where it really helps to have a coach 1:1. It really helps by talking and knowing what triggers you and then coming up with strategies to shift it. Mandy – How do you take care of yourself? Justine – That is something that I definitely have to work on. Everyone that is in a coaching situation does. The challenge is as people are really busy; it feels self-indulgent to take the time to eat properly, to prepare food that will properly nourish you. Instead of going for the food that is the easiest and quickest. There is a return on investment in taking care of yourself and that manifests itself in the energy and the vibrancy you bring to your business and the energy levels you bring to everything. It is all woven together, that you can’t pull one thing part and hope it Is all going to come loose. Mandy – Where can I find you? Justine – You can find me on my Website and on Facebook. Also here is my abundance food list for anyone to download. Mandy – Thank you so much, Justine. It’s so amazing how this all started with a sandwich epiphany! Justine – Thank you so much for having me, Mandy. After spending ten years on every kind of diet trying to lose weight gained while pregnant – Justine finally found the solution that works. It doesn’t involve counting calories or deprivation. She has built this solution into a process that she loves teaching people! You can find out more about her by visiting her website and connecting with her on Facebook.